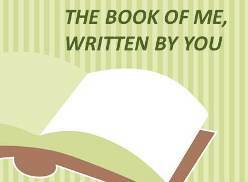 I am participating in Julie Goucher's activity: "The Book of Me, Written by You." This prompt is a recognized psychology test: Ask yourself 20 times “Who are you?” Each time you should give yourself a different answer, and if you can easily go beyond 20 entries then that is fine too. This prompt is about how YOU see YOU. I am a son, husband and father. I am friendly and easy to get to know. I am happy and try to look at life positively - glass full - half water and the other half air. I am helpful to anyone that I can be helpful to. I am loyal to friends and family. I am funny and enjoy making people laugh and have a good time. I am a leader who cares about people. I am a genealogy researcher seeking my family history. I am a teacher and presenter in various fields where I can help others be successful. I am a fly fisher. I am a peacemaker always looking to resolve difficult situations. I am inclusionary minded. I want everyone to feel important and valued. I am a volunteer. Sometimes too much for my own good. I am a geek. I love technology, but try to use it in moderation to make my life more enjoyable. I am sentimental. I am such a softie that I tear up at the silliest things. I am excited about always improving and learning.